Is there anything better than hot, golden brown Mozzarella Cheese Sticks fresh out of the deep fryer? Yes! When they’re homemade and just as easy as frozen ones from the store but they come out of your kitchen. 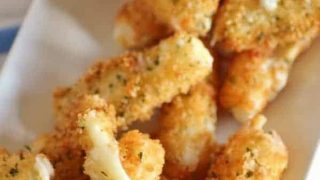 Here is a recipe for Mozzarella Cheese Sticks from a fellow blogger’s site My Prairie Window and originally from Ree Drummond’s latest cookbook, The Pioneer Woman Cooks. Keira from My Prairie Window has been of great help and support along my journey into food blogging. We have started at the exact same time and have really tried to help each other out. This recipe is a very easy, super tasty side dish, appetizer or snack. I did my own twist with a lovely tomato dipping sauce and gave it a little BAM with some Emeril’s seasoning in the flour. I know you will enjoy this one!! Crispy on the outside and ooey gooey on the inside, that is perfection to me!! Cheese sticks of any kind are a huge draw to me but the ones that I find do the best are string cheese sticks for this recipe. What to eat with mozzarella cheese? Well, mozarella cheese sticks go great with a tomato dipping sauce. Everyone young and old will love these. Kids go crazy for cheese and for crispy goodness so you know these will be a winner! These would also be great on game day as you cheer your favorite team forward. I love that they can be made up and stored in the freezer until they go for a pop in the deep fryer. That is a great way to have them on hand and not to stress about getting them ready before company arrives. They are ready and waiting for you!! 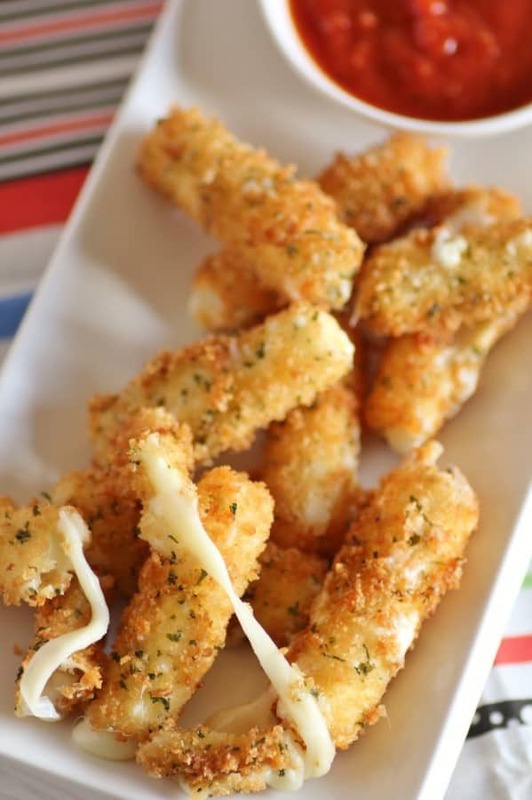 How to Make Mozzarella Cheese Sticks with String Cheese? Once you’ve made the spice blend, it’s actually really fast and easy to make the actual mozzarella cheese sticks. The secret ingredient is using string cheese sticks instead of spending a lot of time trying to shape the mozzarella into a stick. Setting up an assembly line is the best way to get the mozzarella sticks coated in batter. Bowl one should have the flour and Emeril’s Essence mixture; bowl two will be the milk and egg mixture; and bowl three will be the outer crust – the panko crumb with parsley, salt, and pepper mixture. Lay the baking sheet beside the third bowl so that you can place it on the baking sheet immediately after coating it. Chill in the freezer for half an hour and then fry until golden brown. It’s really that easy. The hardest part is going to be convincing yourself that you shouldn’t make these every day. Mix all ingredients together for Emeril's spice. You will think of a million things to put it into. Unwrap cheese sticks and cut them in half. Using three bowls for dipping, place the flour and Emeril's Essence in the first bowl. Beat the eggs with the milk in the second bowl and then in the third bowl add the panko crumbs, parsley and salt and pepper to taste. Now start to dip the cheese sticks. First in the flour, then egg and finally panko. Place them on a cookie sheet and freeze for 20-30 min. Meanwhile heat the olive oil in a small sauce pan and add the garlic and saute for 1 min. Add the tomato sauce, red pepper, Italian seasoning, salt and pepper to taste. Simmer 15 min. Heat a few inches of the canola oil in a wok or large deep frying pan. Place sticks in the oil and fry to golden brown. Do not overcrowd the pan. Fry them in batches. Drain on a paper towel lined plate. Serve with the tomato sauce immediately. My heavens, I want this! NOW! They look amazing! Need to make them again, like today!!! I don’t think I could trust myself with an entire plate of these! This is something i often eat as a kid. you got me reminiscing! 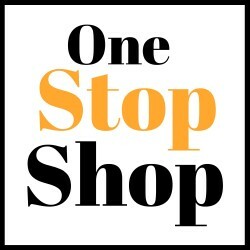 Congrats on making Tastespotting again! Made to perfection and the sticks looks so tempting, what more with the sauce. I can imagine the wonderful taste and more of these sticks for me as I don’t think one stick will be enough for me. I would be so all over that right now. I’m starving and its too early for lunch but I want to eat that anyway. Thank you everyone, I have to make these again. Well I have but maybe again and again!! Oh my goodness, those are some insanely good moz sticks. Love! Thank you, they are very good!! Do you fill the pan with enough to oil to completely coat the sticks, top and bottom? Or just enough to coat the bottom of the pan? Yes, you need a few inches of oil so that they are deep fried. Oh my goodness… They are so delicious!!! OMG I am so gonna make this for my party!! They are great for a party as you can make them ahead of time and have them ready in the freezer. Just a quick dunk in the hot oil and they are ready to go!! 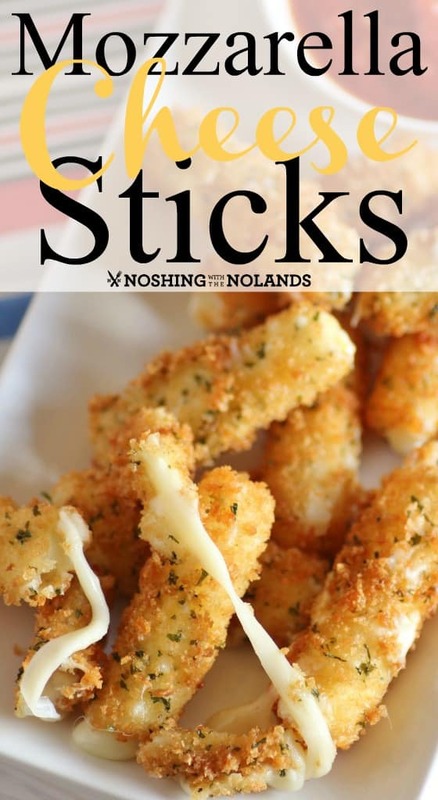 These mozza sticks look amazing!! Thanks Kate, they are pretty yummy! I was wondering if you could bake these? Hmmmm, not sure. You could try a few and if it isn’t working go back to that nasty deep fry method. Thanks so much for taking the time to comment. We have made these many times and they have always been a hit!!! Now you are making me want them again. Mmmmm!! Thanks Janice!! 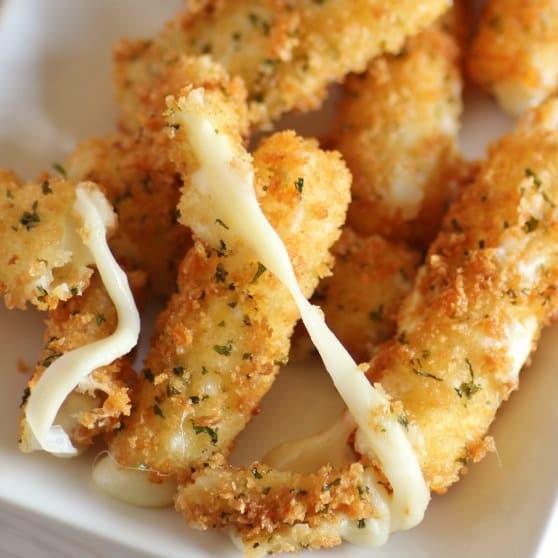 I have a major weakness for mozzarella sticks and these look fantastic! Thanks so much for coming over Maris!! these look so good. i love mozzarella sticks and must admit that i’ve never thought to make them at home by scratch! must make soon! They could be made ahead of time too and just kept in the freezer. Ready when you are!! I made these tonight (eating as im typing) they taste great! I think the only thing I need to adjust is how high the heat is set for the oil. When I pulled mine out at the same golden color as yours the cheese was not melted. I had to leave them in longer which made them darker. Do you have to freeze them? Or can u put them in the oil directly after coating them? I think your oil was too hot. Try it again but you could also try it unfrozen. ENJOY!!! Looks delicious! I love the BAM that you added to the sauce! looking delicious….i will try this soon…!! Oh Tara, the way you captured that cheese oozing is literally making my mouth water. These look absolutely amazing!!!! Emeril’s Essence is one of my favorite seasonings. These Mozzarella Sticks look freaking amazing Tara. I can just taste them looking at this pic! Thanks so much Julie!! I really appreciate all you do!! I have never tried them baked. You could give it a whirl. Spray them with cooking spray first. Wow these look fantastic! I am definitely going to make these soon. Thanks so much Mary, enjoy! How hot do you heat the oil in the deep fryer? I did this and I had a mozzarella glopping mess. I don’t use our deep fryer that often but the rule of thumb is to 350F. I do a lot of frying in a wok or deep fry pan and heat until a small amount of bread dropped in sizzles on medium heat. Initially heating at medium high. This sounds absolutely amazing! I wish I had a plate of these in front of me right now! I’m going to be thinking of these all day! These are such a wonderful snack or side dish. Stringy and crispy, just how cheese sticks should be and I could probably eat way too many. Hmm I just made a batch of tomato sauce that would go very well with these cheesy sticks of yumminess. Thanks for the great snack idea Tara! Can I say all I want to do is face-plant myself in these. yeap. The perfect crowd-pleaser! So cheesy-licious! I totally forgot about Emril’s essence! I love it! these look so good!!!! I’ve seen these on Pinterest, and every time I want them more and more! Yum! Oh I love the idea! I never tried this before but it’s on my to do list now, looks delish! This is my idea of comfort food. Looks super delicious. I wish I could stretch my hand and grab couple of those beauties! How do I just print off the recipe?????? Hi Lois, sorry this is an old recipe when I didn’t use the print out portion but let me fix that for you. Otherwise you could copy and paste into a word document. We love these babies, and can not wait to make some. Thank you!